When I made these – everyone went nuts. 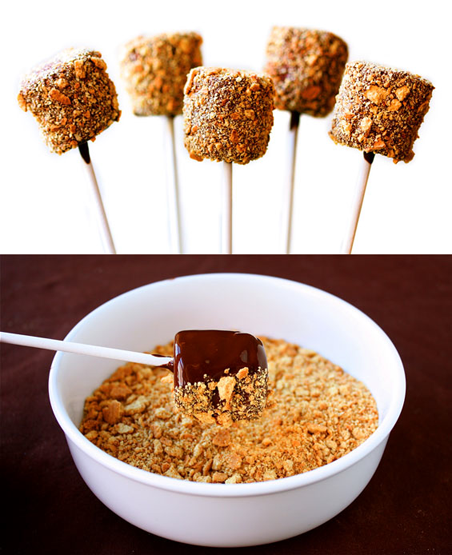 You wouldn’t think a bunch of frat boys would be into mini appetizers on a stick, but when I made these for Dez’s surprise birthday party – the approximately 50 mallows I made were gone in under a minute. Crushed potato chips. Not the best of them – but still not bad!